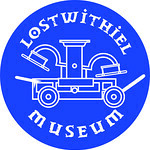 You can support Lostwithiel Museum by becoming a member of Lostwithiel Museum Association. Annual membership costs only £7 per household, regardless of the number of people. As a member your household will receive two copies of Museum Matters magazine during the year and free entry to our annual social event. To join the association please download and complete this application form. If you are a UK taxpayer and eligible for Gift Aid then please also complete this declaration form. Both forms may also be downloaded by clicking on the small blue arrows at the bottom right of this page. The form(s) should be returned to Membership Secretary, Lostwithiel Museum, 16 Fore Street, Lostwithiel, PL22 0BW. Please contact the Membership Secretary via info (at) lostwithielmuseum (dot) org if you need further information.